Browse all grape and vineyard extension topical resources using the Grape & Vineyards Topics section of the right menu. Select topics are highlighted below. Washington is the national leader in juice grape production, and second in wine grape production. Our goal is to provide quality information and tools for the viticulture industry in Washington State and the surrounding region. Growing grapes can be challenging in any environment, but Washington State is the perfect climate for wine. Learn and gather information on what it takes to plan for, and establish, a new vineyard site. Find information on climate, soils, site preparation, and how to properly select plants. Managing a vineyard can be as challenging as establishing one. Gather valuable information on trellising and training systems, general grape growing practices, and vineyard floor management. The majority of grape production in Washington is located in the arid “East” where irrigation is an essential part of agriculture. This page has more information on general practices for irrigated agriculture. Maintaining plant health is vital in the quality production of grapes. Viticulture is the business of producing grapes. Having a solid understanding of the economics and costs of producing grapes is vital for the sustainability of your business, and of the industry. The WA Juice Grape Sustainability Report Card is designed to aid juice grape producers in documenting their practices, and how those practices influence the overall sustainability (economically, environmentally, and socially) of their farms. The Report Card also contains information and resources to help growers develop action plans to improve their sustainability in areas where they may fall short. The Clean Plant Center Northwest-Grapes (formerly the Northwest Grape Foundation Service) is a starting point for growers to receive planting stock that is state-certified as to being tested free of targeted viruses. Learn about what a vine needs to grow, and how soil fertility plays a role in plant health. Winter temperatures can reach damaging levels in the Pacific Northwest. Knowing how to properly identify bud, phloem and xylem damage is critical when determining pruning strategies. The diagnostic clinic offers for-service diagnosis and detection of plant pests and diseases. Guide to control of pests on commercial grapes. Updated annually – WSU #EB0762. A completed assessment of industry-advocated needs for research, extension, and education in WA wine grape production for 2014-2024. Two guides are available. #PNW644 has over 240 full-color photos on different diseases, pests, weeds, and disorders. PNW654 is a Spanish-English Pocket Guide. Learn about rules and regulations regarding pesticide application, in addition to modern advances in spray application technology. Read up on pesticide labels, regulations, and license information for Washington and the PNW. Also, learn how to obtain a pesticide applicator’s license for WA or Oregon. Links for online pesticide credits are also provided. Managing vertebrates, such as birds, deer and rodents, can be challenging in any vineyard setting. Fungi and bacteria also cause significant diseases of grapevine, including Powdery Mildew, Botrytis Bunch Rot, Eutypa Dieback, and Crown Gall. This page provides information on their biology and management. 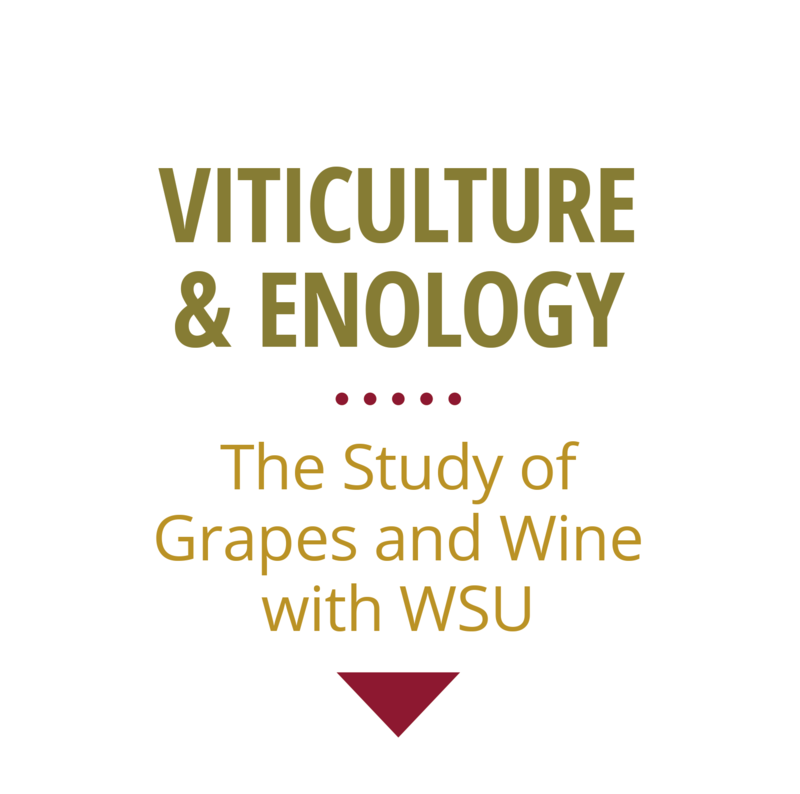 In order to grapple with the wine grape industry’s concern about grapevine virus diseases, a partnership of wine-grape growers, certified nurserymen, representatives from the Washington, Oregon and Idaho state departments of agriculture and Washington State University faculty are investigating detection and management strategies. Disorders caused by herbicides or physiological responses to the environment can significantly affect grape production. Weed management is especially important in the early-establishment phase of grape production.